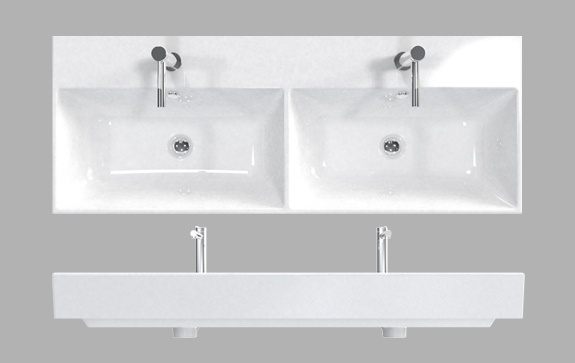 A new basin utilising a modern shape. With its higher ceramic edges it provides a deeper alternative, along with a practical bowl and good space areas at the rear of the basin. Suitable for the London and New York collections. Double bowls. See detailed illustration under Download.